Do you want to attract new prospects and show a strong presence at any given events? The advertising flag is a tool that can help you outshine the competition and stand out in the best of ways. Using state-of-the-art printing and design techniques, Franprint invites you to present your business in the best light at every occasion. The advertising flags are adapted according to the uses one wishes to make. 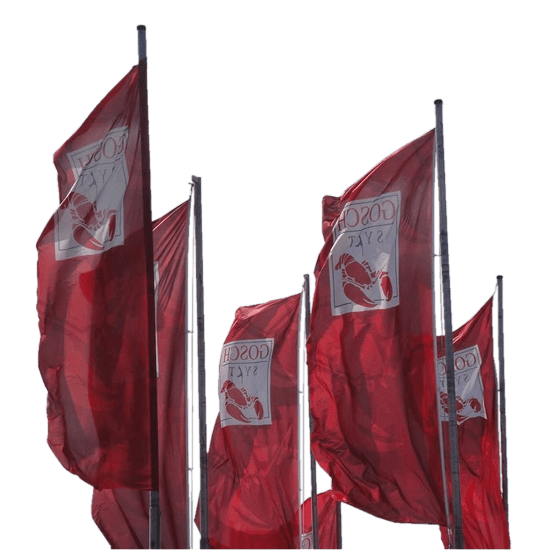 Many promotional flags are designed with messages, logos or slogans, depending on the type of advertising campaigns for which they are ordered. Most often, an advertising flag is used to promote a product or service, but it can also be a perfect tool used for trade shows and events of all kinds. This type of support makes it possible to display a message, on one or both sides, is becoming an advertising method that is increasingly used by companies. And for good reason: a flag of the right size hardly goes unnoticed. 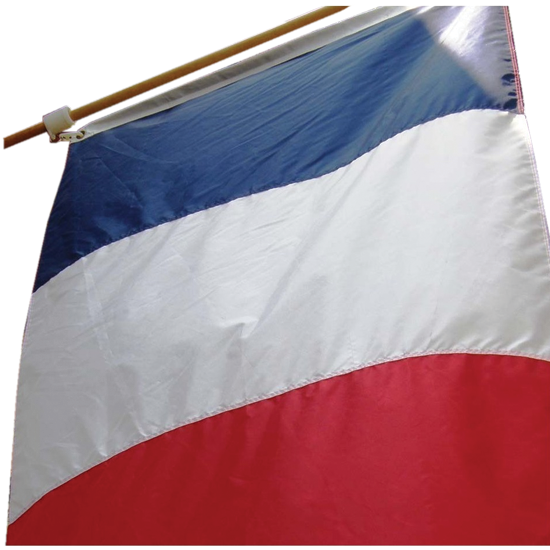 These flags can be hoisted with solid masts, on poles or on pedestals of different natures. You can also plant them in the soil, according to your needs. The size of printed advertising flags offered come in a very wide range (from a few cm to several meters), and your custom flags are made in record time. In terms of price, the advertising flags that are produced by us are perfect for commercial promotions at lower cost. Whether small or very large, this type of advertising can reach a wide audience. 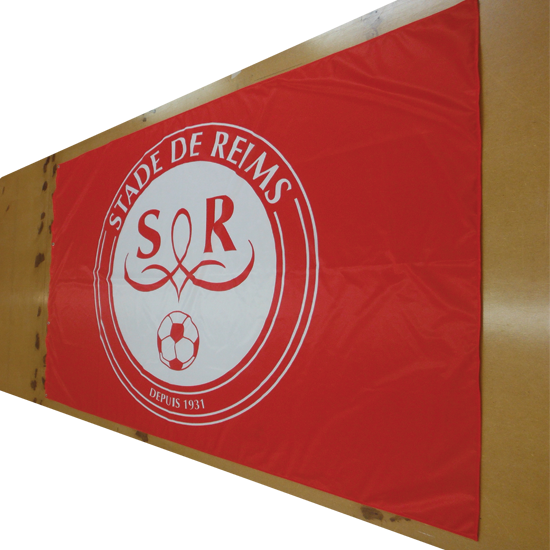 Choosing Franprint to design your advertising flags, is a choice for remarkable printing quality. Opt for the professionalism of a team dedicated to your satisfaction and quickly post your texts and logos to boost your image and enhance it at very little cost. To get the most out of the visuals offered by your various promotional animations, or for all kinds of events where you gain customers by displaying your colors and your brand, the personalized flag is the right tool. You can enjoy all kinds of models and sizes depending on your purpose and needs at that moment. The personalized flag is ideal, to be visible from afar. For a company, this advertising object arouses the interest of new potential customers and serves to reinforce the trust of the already loyal customers. The personalized flags that are offered here have an excellent effect, both indoors and outdoors, and their printing is particularly successful. Take advantage of very easy to use and very resistant models, in order to make the most of your advertising investments. This communication media can indeed be mounted or stored very quickly, and their service life extends for many years. Because of their adaptable use to all kinds of occasions and circumstances, personalized flags have quickly conquered professionals from a wide variety of sectors. You want to highlight your business for example, or raise the level of your event? 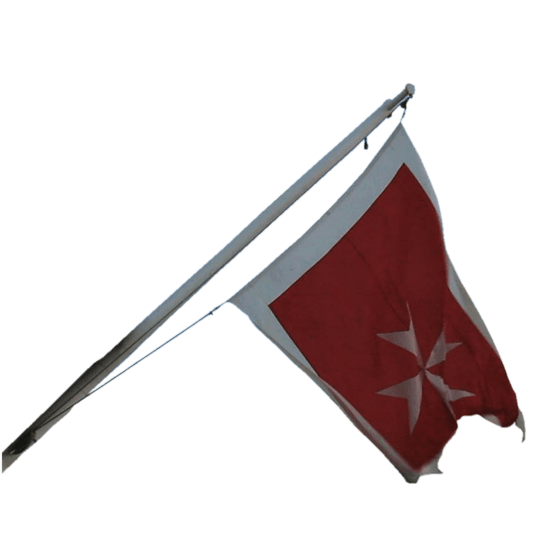 Quickly order flags of the highest quality. It is impossible to miss an outdoor advertising flag floating in the wind. A message carried by these communication media undoubtedly attract attention, and their almost permanent movement due to the wind further enhances their appeal. To display your logo or message, you can choose between a horizontal flag and a vertical flag, and between different printing materials. Outdoor advertising flags are subject to extreme conditions. The quality of the material on which your flags are printed is not negligible. FRANPRINT offers quality products for advertising media that can be used over time. For good visibility outside, a beautiful flag on foot is an option of choice. 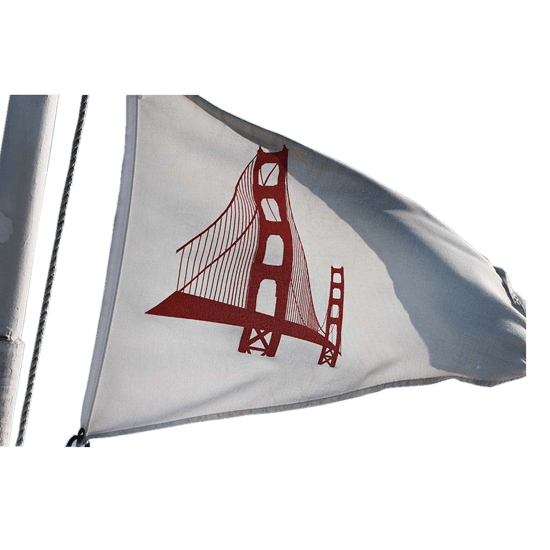 A printed flag to be hoisted with a logo or a precise color that makes it possible to point out the location of your trade or your company from very far. With Franprint, having an outdoor advertising flag made is extremely simple. Simply select the size, shape, type of finishes you are looking for and quickly place your order. You can also benefit from the whole team’s expertise in graphic design and printing. 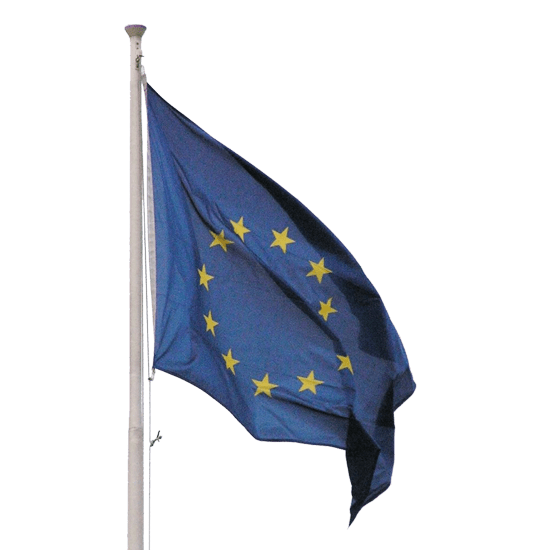 It is enough for you to express your need to receive, if you want, advice on choosing the correct model of outdoor flags that suits you best. You just have to define the use you want to make of your advertising medium, in order to receive all the help you need. 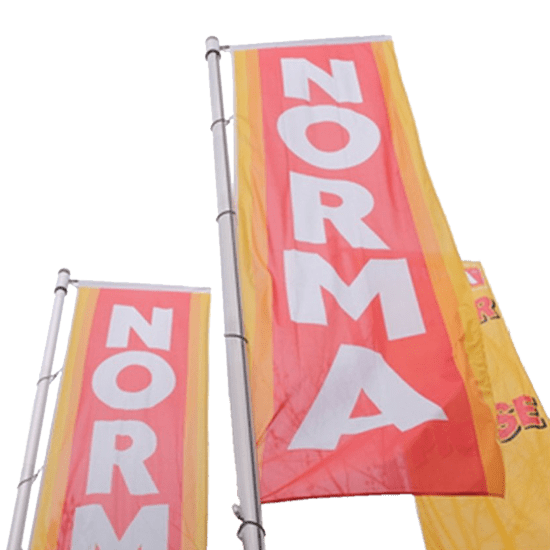 We print classic-sized outdoor flags, light flags fluttering in the wind or printed outdoor flags, specially designed for areas that are too windy (the latter models offer little wind gain due to small, well-designed perforations). A flag displayed outdoors is highly effective: both drivers and pedestrians by the thousands take notice, it is a quick and effective way to get your message across. All you need is a beautiful catchphrase and a meaningful image to make an impression and get your business off the ground quickly.